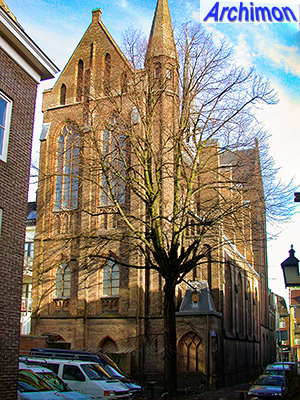 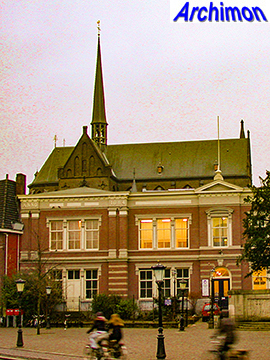 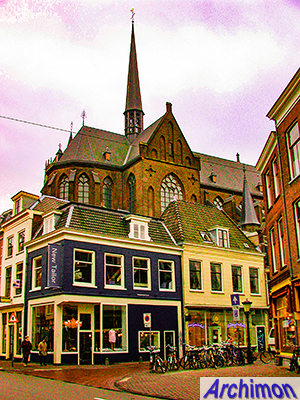 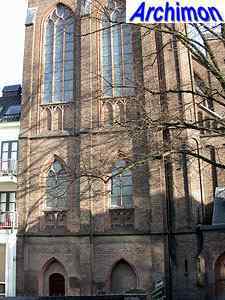 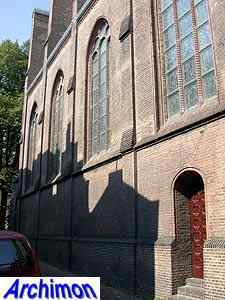 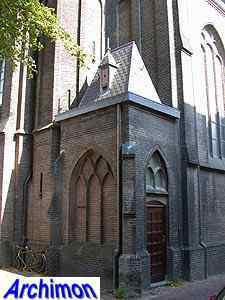 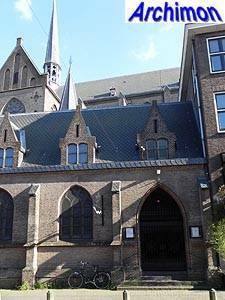 The St. Willibrordus is probably one of Utrecht's oddest churches. 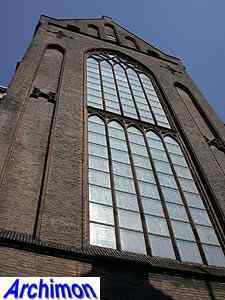 Only relatively small parts of it are directly visible from the street, as it's almost completely closed-in by other buildings. 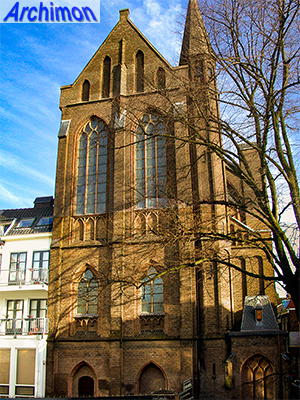 Despite the difficulties the available piece of land brought along with it, architect Alfred Tepe managed to build an as conventional church as possible in between the surrounding houses, none of which could be demolished. 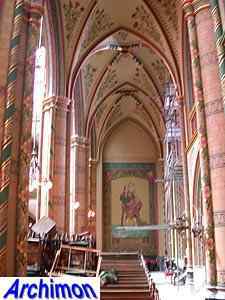 The result is a relatively short cruciform basilican church without a tower in Tepe's usual sober neo-Gothic style; the church is mostly executed in brick, with no use of natural stone. 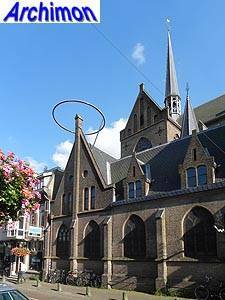 The most peculiar thing about this church is its extreme height to add some visibility. 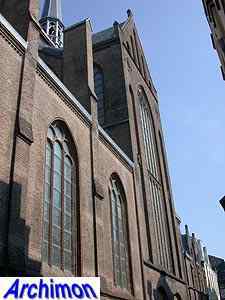 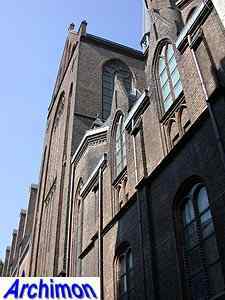 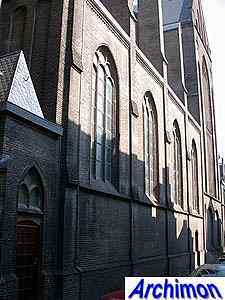 Because the church is oriented, with the choir facing the east, access to the church is through a corridor at the north side of the church, where some space in the street was available. 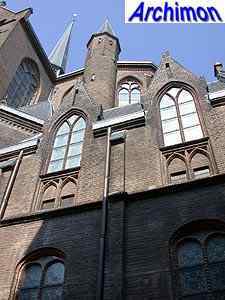 Also built on this space were a small cloister and a seperate two-aisled chapel with a . 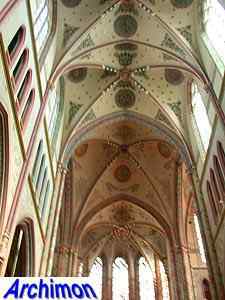 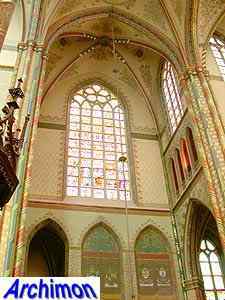 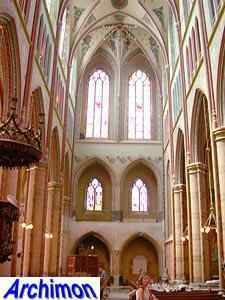 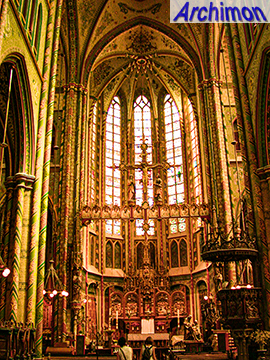 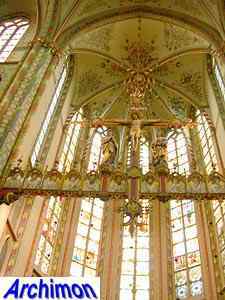 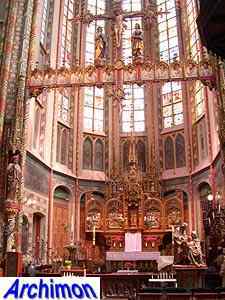 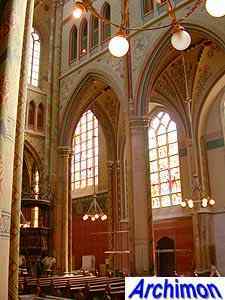 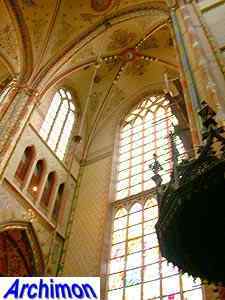 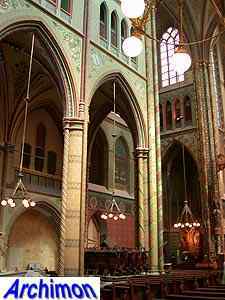 Inside the church is an impressive example of a church interior in the style of the Guild of St. Bernulphus. 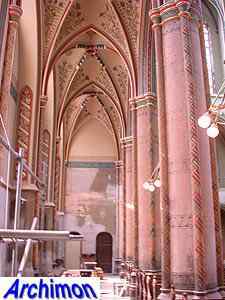 This has almost completely survived, although in a bad state. 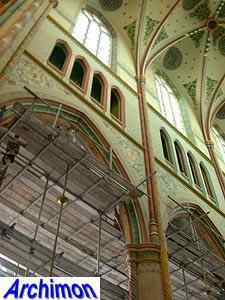 In 2005 a long lasting restoration was finally completed..